This volume provides a comprehensive and much-needed survey of the millennium-long history of Jews in the Ukrainian lands. The book challenges the stereotyped vision of the relationship between Jews and Ukrainians and offers in-depth studies of key periods and issues. The survey opens with a consideration of early Jewish settlements and the local reactions to these. The focus then moves to the period after 1569, when control of the fertile lands of Ukraine passed to the Polish nobility. Because it was largely Jews in the service of the nobility who administered these lands, they were inevitably caught up in the resentment that Polish rule provoked among the local population, and, above all, among the Cossacks and peasant-serfs. This resentment culminated in the great revolt led by Bohdan Khmelnytsky in the mid-17th century, in consequence of which the Jews were excluded from that part of Ukraine which eventually came under Russian rule when the Polish-Lithuanian Commonwealth was partitioned. The Jewish response to the establishment of Russian and Austrian rule in the areas of Ukraine that had formerly been in the Polish-Lithuanian Commonwealth is a second major theme of the book, and particularly the Jewish reaction to the emergence of Ukrainian nationalism and the subsequent Ukrainian struggle for independence. A third overarching theme is the impact of the sovietization of Ukraine on Jewish-Ukrainian relations, with a chapter devoted to the 1932-33 Famine (Holodomor) in which millions perished. The book also gives special attention to the growing rift between Jews and Ukrainians triggered by the rise of radical nationalism among Ukrainians living outside the Soviet Union and by conflicting views of Germany's genocidal plans regarding the Jews during World War II. 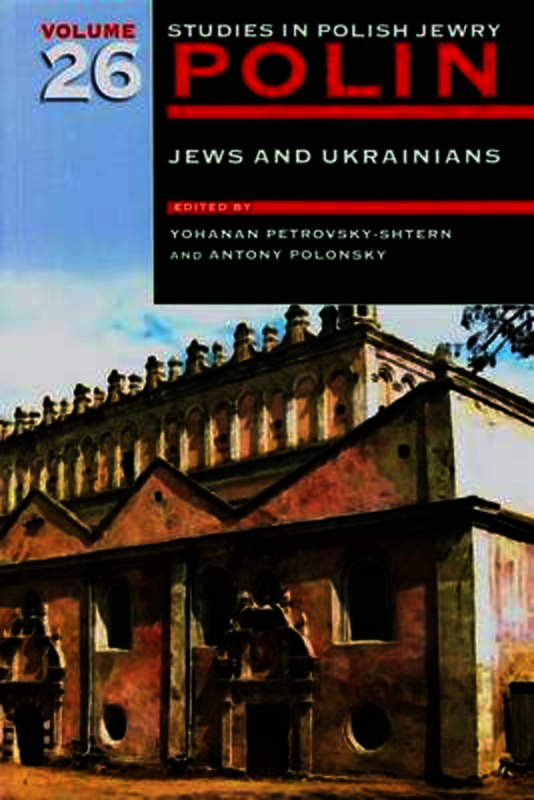 With contributions from leading Jewish and Ukrainian scholars on these complex and highly controversial topics, the book places Jewish-Ukrainian relations in a broader historical context and adds to the growing literature that seeks to go beyond the old paradigms of conflict and hostility. CONTRIBUTORS: Howard Aster, formerly taught Political Science, McMaster University; Rachel Feldhay Brenner, Max and Frieda Weinstein-Bascom Professor of Jewish Studies and Professor of Modern Hebrew Literature, University of Wisconsin-Madison; Ivan Dzyuba, Ukrainian writer and literary critic; member, National Academy of Science of Ukraine; former Ukrainian Minister of Culture; Amelia Glaser, Associate Professor of Russian and Comparative Literature, University of California, San Diego; John-Paul Himka, Professor, Department of History, University of Alberta; Judith Kalik, teaches East European History, Hebrew University of Jerusalem; Myron Kapral, Director, Lviv Branch, Hrushevsky Institute of Ukrainian Archaeography and Source Studies, National Academy of Sciences of Ukraine; Vladimir (Ze'ev) Khanin, Chief Adviser on Research and Strategic Planning, Ministry of Absorption, Israel; Victoria Khiterer, Assistant Professor of History and Director, Conference on the Hilocaust and Genocide, Millersville University, Pennsylvania; Taras Koznarsky, Associate Professor, University of Toronto Sergey R. Kravtsov, Research Fellow, Center for Jewish Art, Hebrew University of Jerusalem; Taras Kurylo, independent scholar, Calgary; Alexander J. Motyl, Professor of Political Science, Rutgers University-Newark; Jakub Nowakowski, Director, Galicia Jewish Museum, Kraków; Alexander Pereswetoff-Morath, Associate Professor and Academy Research Fellow, Royal Swedish Academy of Letters, History, and Antiquities, Stockholm; Yohanan Petrovsky-Shtern, Crown Family Professor of Jewish Studies and Professor of Jewish History, Northwestern University; Antony Polonsky, Albert Abramson Professor of Holocaust Studies, Brandeis University and United States Holocaust Memorial Museum; Peter J. Potichnyj, Honorary Professor, East China University, Shanghai and Lviv Polytechnic National University; Professor Emeritus, McMaster University; Mykola Ryabchuk, Ukrainian writer and journalist; Vice President, Ukrainian PEN-Club; Raz Segal, doctoral student, Strassler Center for Holocaust and Genocide Studies, Clark University; teaching fellow, International MA Program in Holocaust Studies, Haifa University; Dan Shapira, Professor of Ottoman Studies and Professor of the History and Culture of Eastern European Jewry, Bar-Ilan University; Myroslav Shkandrij, Professor of Slavic Studies, University of Manitoba; Mykola Iv. Soroka, Advancement Manager, Canadian Institute of Ukrainian Studies, University of Alberta; Yevhen Sverstyuk, theologian, translator, journalist, and literary critic; Chief Editor, Nas. Yohanan Petrovsky-Shtern is the Crown Family Professor of Jewish Studies and a professor of Jewish history at Northwestern University. He teaches early modern and modern east European Jewish history; Jewish mysticism and kabbalah; the history and culture of Ukraine; and Slavonic Jewish literature. He has been appointed a Fulbright Specialist on Eastern Europe, a fellow at the Harvard Ukrainian Research Institute, and a visiting professor at the Ukrainian Free University in Munich. He has published several books, including Jews in the Russian Army, 1827–1917: Drafted into Modernity (2008), The Anti-Imperial Choice: The Making of the Ukrainian Jew (2009), winner of the American Association of Ukrainian Studies book award, and Lenin’s Jewish Question (2010). He has recently finished, The Golden-Age Shtetl, and together with Paul Robert Magocsi is working on a study entitled 'Jews and Ukrainians in the Ukrainian Lands'. Antony Polonsky is Professor Emeritus of Holocaust Studies at Brandeis University and Chief Historian of the Polin Museum of the History of Polish Jews, Warsaw. He is the author of the three-volume History of the Jews in Poland and Russia, published in an abridged paperback version as The Jews in Poland and Russia: A Short History.